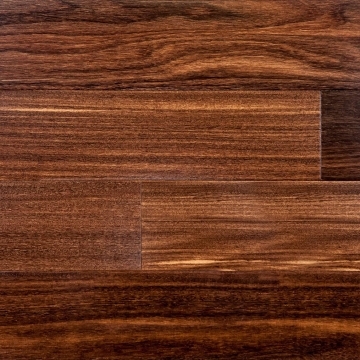 If you want a beautiful hardwood floor that will last for generations, then Wenge is an exotic option. 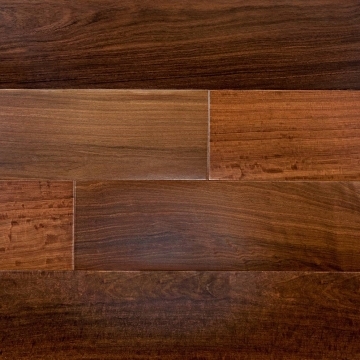 Wenge (or Millettia Laurentii, also known as African Rosewood, Dikela, Mibotu, Bokonge and Awong) is an extremely hard and dense wood from Africa that makes particularly striking flooring. The Wenge we use comes from Zaire, Cameroon, Gabon, and southern regions of Tanzania and Mozambique, where the trees reach heights of between 60 and 90 feet with a trunk diameter of 3 feet. Freshly-cut Wenge wood is a sandy colour, but as it dries it will darken to a deep chocolate tone, with a noticeably lighter – and almost straight – grain. This rich dark colour with contrasting grain is just one of the things the wood is prized for. Does Wenge Make a Good Floor? Indeed it does. Because it is so dense, it is extremely hard – more so than Maple even. Wenge is incredibly resistant to wear and damage, and is ideal for ‘high traffic’ areas in both domestic and commercial buildings. It is also remarkably stable (meaning it resists moisture), and planks will not warp or buckle under almost any conditions; in fact Wenge can even resist sea water! 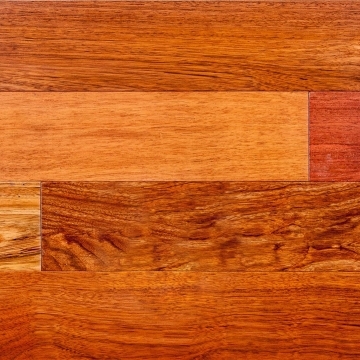 Unfortunately there are a number of things to bear in mind when considering a Wenge floor. First, Wenge is an endangered species. We have used the same UK supplier for the last eight years, and they only import wood that has come from managed forests, but it is currently not possible to obtain FSC-certified Wenge, so there is no independent certification of the supply chain. Next, it is very hard to work with. Wenge is so tough that it is hard on cutting and finishing tools. The dust from cutting is very fine and is actually a health hazard: masks need to be worn when working with Wenge. Finally, it is very expensive. The extra difficulty in working with Wenge is a contributory factor to its cost, but the main driver of the high price is availability. 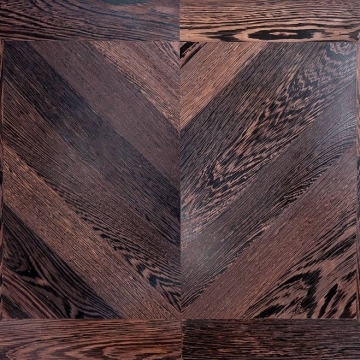 The lowest Wenge has been priced recently is £200 per square metre – and up to £800 per square metre is not unheard of. 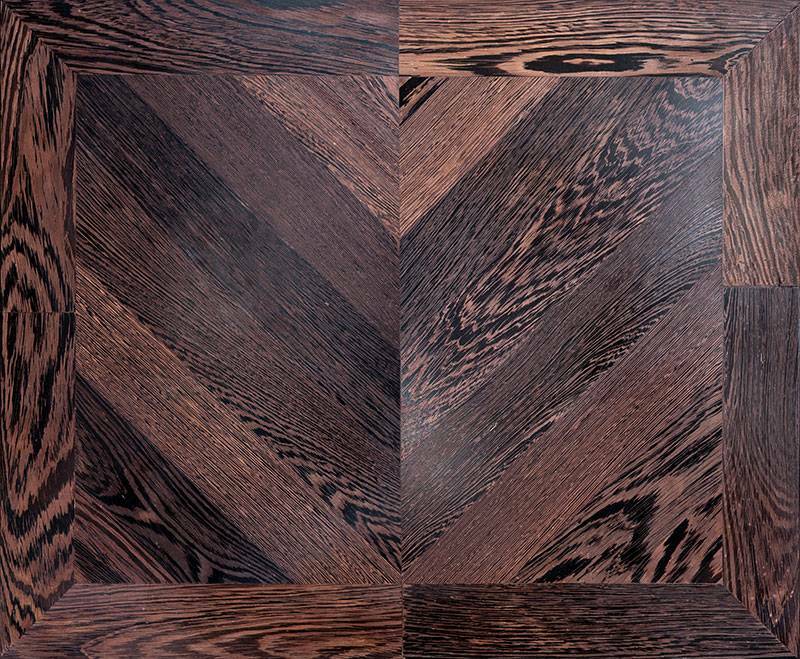 If you love the look of Wenge but a floor made of it is not within your budget, then don’t despair. At Woodcraft, just one of the things we specialise in is making more affordable Oak planks look like Wenge. You can read more about Oak here, and about the many options for customising your floor’s appearance here. What Are the Options with Wenge? 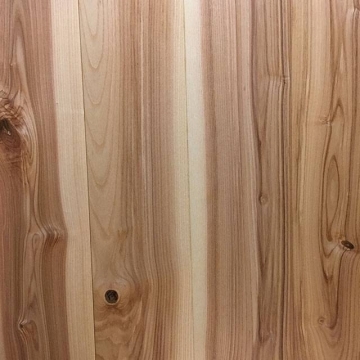 It can be either lacquered or oiled, neither of which change its colour: to our mind, no-one in their right mind would ask for any other colour finish than the wood’s natural look! 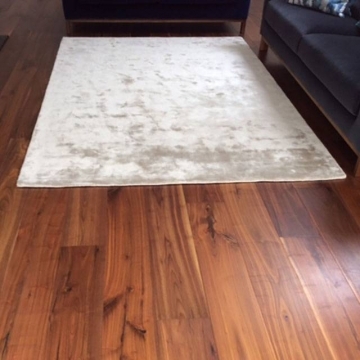 Our Wenge flooring is available as either solid or engineered planks, or parquet blocks, or engineered parquet planks if you wish, although Wenge does not need to be engineered as damp cannot leave a mark on it. 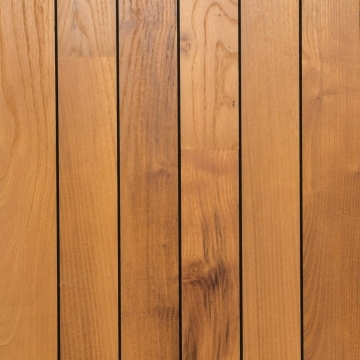 Plank thicknesses are from 15mm to 21mm thick, with widths of up to 220mm possible, and lengths from 1 to 5 metres. The timescale for delivery is usually about eight weeks from order to installation. 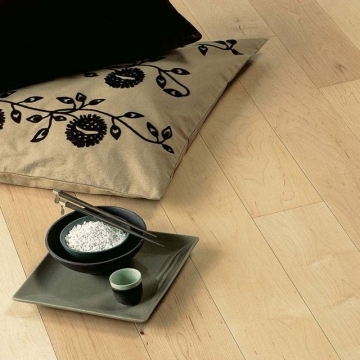 Our standard guarantee of 25 years applies to Wenge engineered planks.